At Bliss Honeymoons we believe that everyone deserves to have an amazing honeymoon or destination wedding! So we’ve created our “Love All Ways” services for couples who are looking for amazing gay-friendly honeymoon destinations. 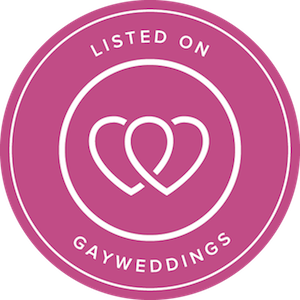 Whether you’re dreaming of a honeymoon, destination wedding or romantic escape, we’ll help you discover the best LGBTA friendly destinations and resorts. If you’re planning gay-friendly destination weddings, you’ll find a lot of great tips in this article. You can also learn more about some of favorite destination wedding packages, and how the planning process works here. If you’re searching for an awesome, gay-friendly honeymoon destination, you’ll find a couple of favs in the Caribbean here, and the Greek Islands here. To learn more about our planning process for gay-friendly destination weddings and honeymoons, check out our “How It Works ” page.